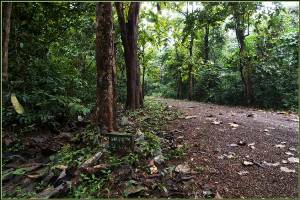 Kuldiha Wildlife Sanctuary is located in the district of Balasore. The hilly terrain and the deciduous forest support the wide range of animal species that have made it their natural habitat. The whole topography of the place provides ample scope for trekking and hiking. Interestingly Kuldiha Wildlife Sanctuary is connected to Simlipal through Sukhpada hills and Nato hills. Some of the animals that you might encounter while on a trip to the sanctuary are elephant, gaur, sambar, tiger, leopard etc. With some measure of luck, you can also view the rich avian life that consists of peafowl, myna, hornbills, and a wide species of reptiles. There are two rest houses in Kuldiha that serves as your accommodation.There is a perennial stream nearby which is an ideal picnic spot and serves as a welcome respite after the tiring trip in the Wildlife sanctuary.